TeamMoto is committed to helping you ensure your motorcycle is safe and secure. Please take some time to read this article from QPS and check out our suggestions for theft protection, available from your local TeamMoto dealership. 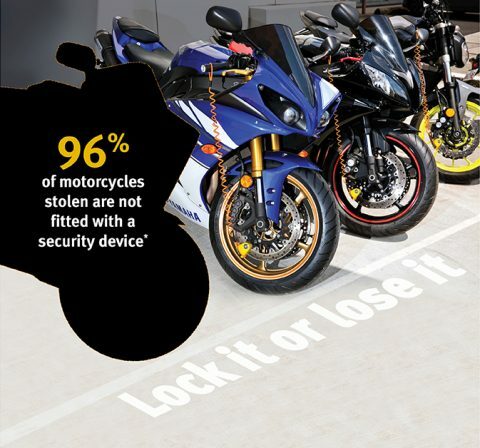 Between 2012 and 2017, 232 motorcycles were stolen within Brisbane alone; 96% of those motorcycles stolen were not fitted with a security device. The Stop Stolen Motorcycles initiative aims to provide awareness to riders on current security options available to them and crime prevention strategies they can implement to protect their motorcycles from being stolen. On average only 48% of the stolen motorcycles from the Brisbane area were partially recovered. In a lot of instances the stolen motorcycles were taken apart and stolen for their parts. Together, the Brisbane City District Crime Prevention Unit and RACQ will incorporate educational material and a social media presence to remind riders to take security precautions. Of the 232 motorbikes reported stolen over the six-year period, 116 (50%) were taken from parking bays, 108 (47%) were taken from a residence and eight (3%) taken from businesses. The project will also focus on creating community participation through the engagement of various stakeholders and educating riders across the board. District Crime Prevention Coordinator for Brisbane City and Fortitude Valley, Senior Constable Tony Tatkovich, who has led this project from the beginning, said the majority of the motorcycles stolen were considered ‘opportunistic’ thefts. 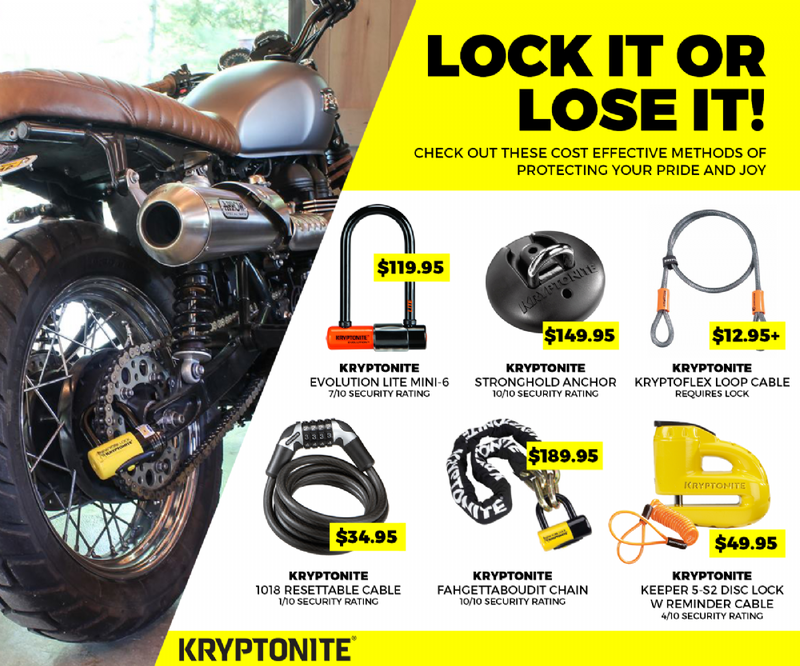 “The best way to prevent your motorcycle from being stolen is to take significant measures by using anti-theft devices like disc locks with audible alarms or tracking devices,” RACQ spokesperson Steve Spalding said the club was pleased to support the QPS in reducing motorcycle theft. “By simply using a relatively inexpensive wheel lock device every day, you will reduce the risk of your bike being stolen,” Mr Spalding said. “If you’re struggling with what to buy the motorcycling enthusiast in your family this Christmas, this might be the best gift.” It is the project’s aim to remind members of the community that if they see or hear suspicious behaviour involving thefts of motorcycles to take action immediately. If you have information for police, contact Policelink on 131 444 or provide information using the online form 24hrs per day. You can report information about crime anonymously to Crime Stoppers, a registered charity and community volunteer organisation, by calling 1800 333 000 or via crimestoppersqld.com.au 24hrs per day.